1Catch a birds-eye-view of the city from the CN Tower. 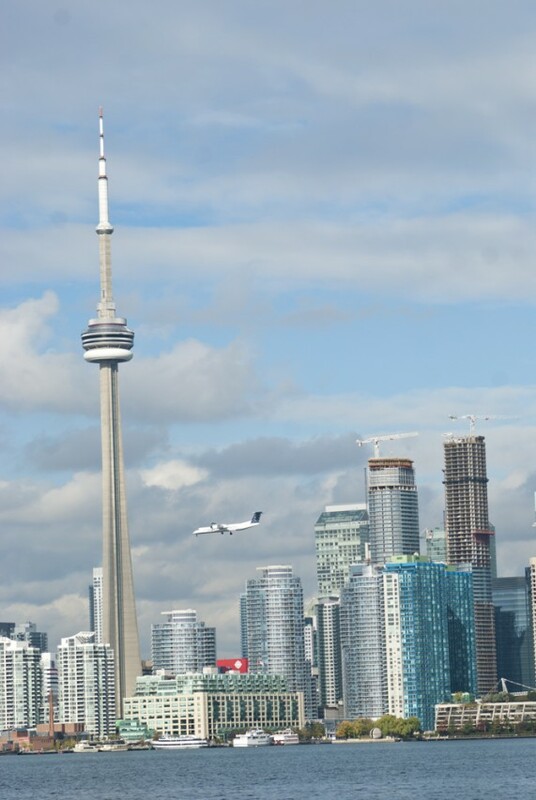 Symbol of Toronto, this third tallest building in the world at 550m (1,815 ft) also includes a “Top of Toronto” restaurant, that completes a 360° revolution every 90 minutes. 2Visit the Royal Ontario Museum. 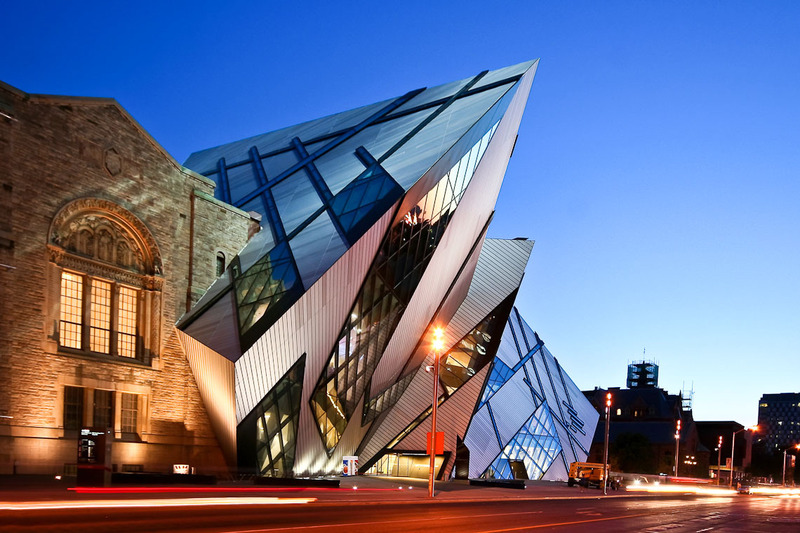 With more than 6 million items on art, world culture and natural history in 40 galleries, the Royal Ontario Museum is also a great example of the fusion of traditional and modern architecture. 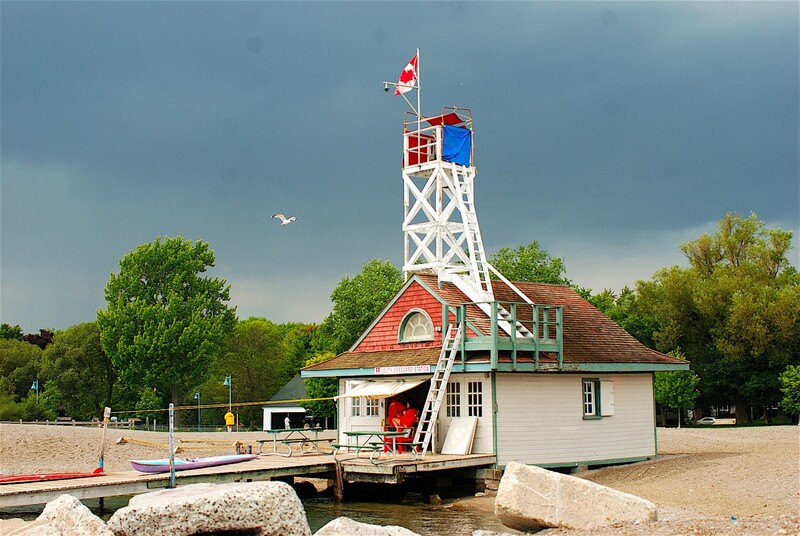 Also known as the Beach, this Eastern Toronto district is a popular summer hangout famous with its shops, restaurants and festivals. It is actually made up of four beaches on the coast of Lake Ontario and easily accessible by streetcars and buses. 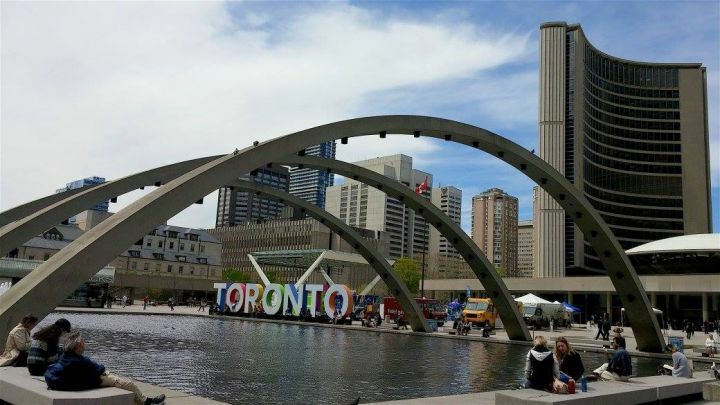 More: A walking tour of the Toronto city center in 30 everyday photos. 4Hang out at the Distillery District. 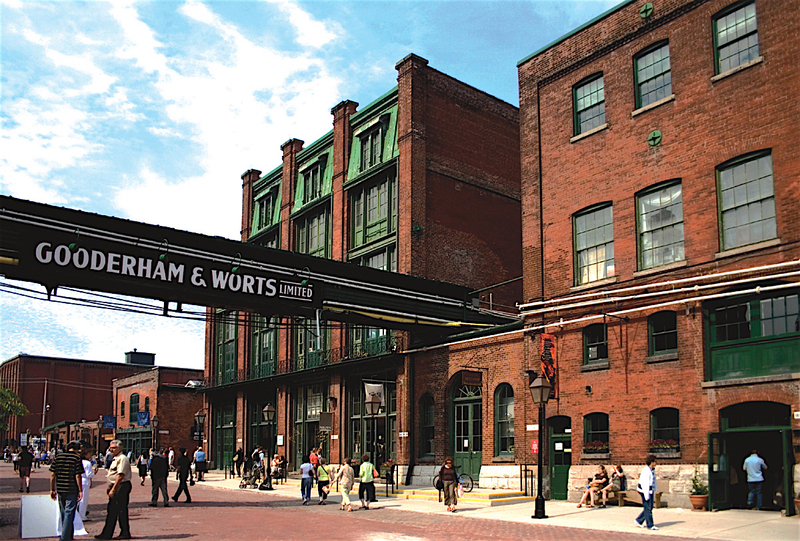 One of the National Historic sites of Canada, the redeveloped Distillery District is filled with galleries, independent boutiques, restaurants and pubs. 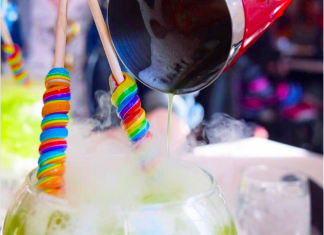 5Eat your way around the Danforth / Greektown. This typical Greek neighbourhood on the East side is alive with not only Greek restaurants, but also many multi-ethnic restaurants, interesting cafes, boutiques and markets. 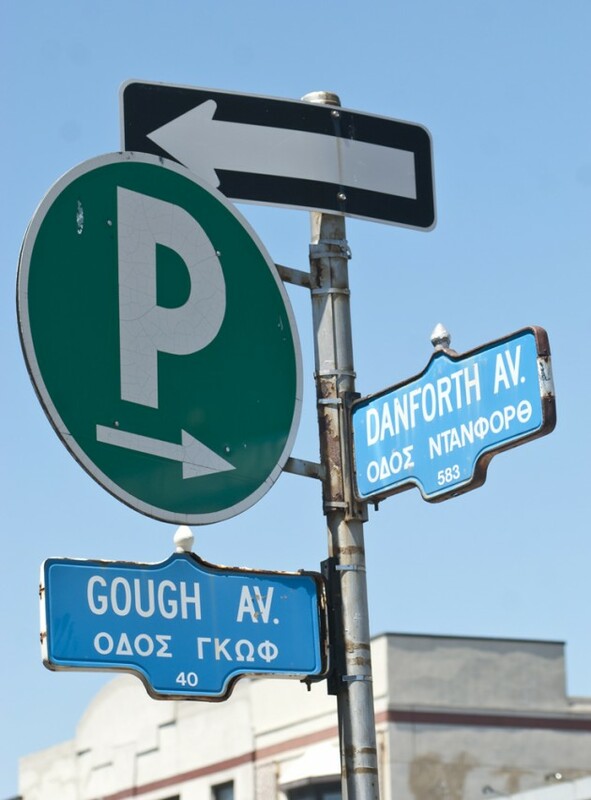 The Danforth also hosts the annual “Taste of Danforth” festival. 6Have a cup of coffee at Tim Horton’s. You’ll know you’re in Canada when you go to Tim Horton’s to grab a cup of coffee. 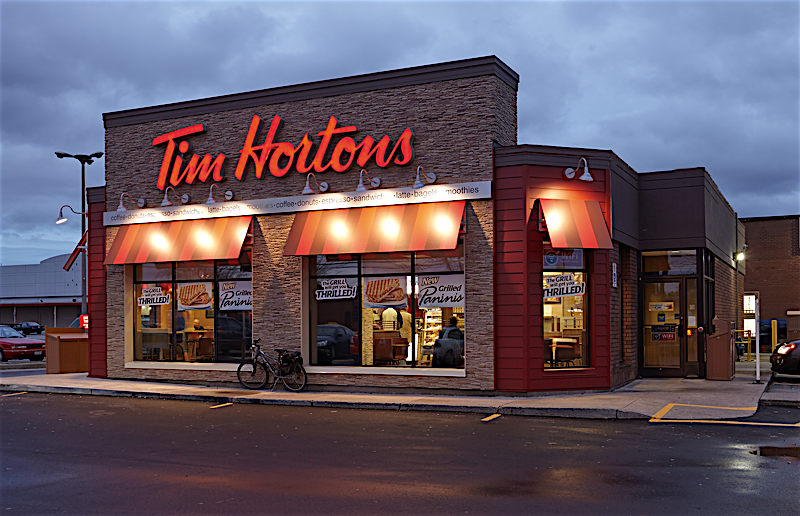 A “double-double” is a uniquely Canadian term meaning a cup of coffee with two creams and two sugars. 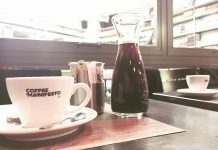 This neighborhood of Italian spirit is packed with trattorias, cafes, outdoor patios bustle with activity especially on weekends. 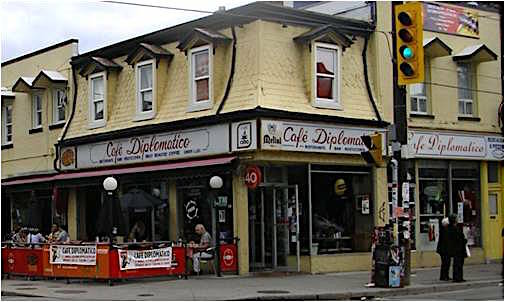 Stop at “Cafe Diplomatico” while you’re there. 8Walk on the Spadina Avenue. 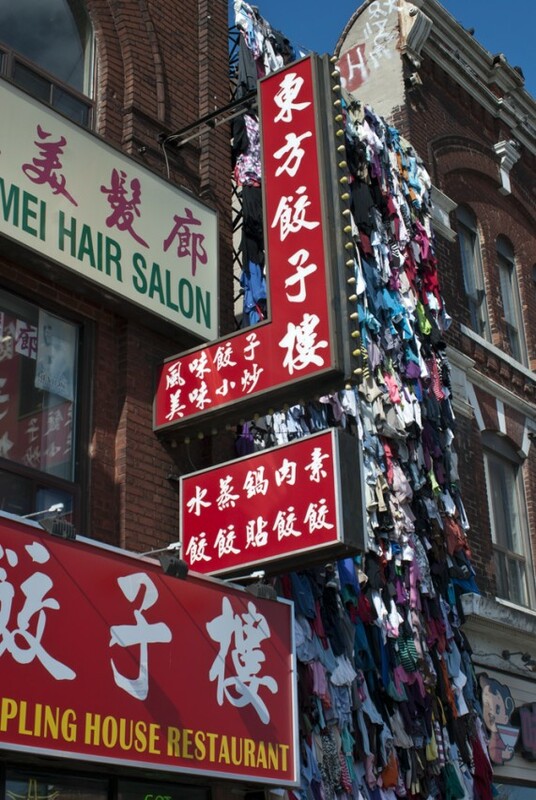 Historical mansions, Kensington Market and Chinatown. A must-see! 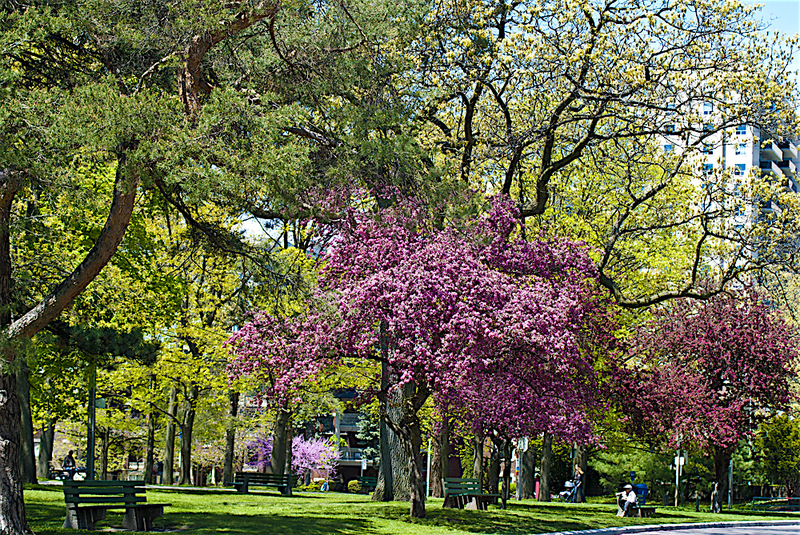 9Get some fresh air at the High Park. To the West of downtown Toronto, High Park is the largest park entirely in the city filled with sporting, cultural and educational facilities, playgrounds, picnic areas, a lake and a zoo. 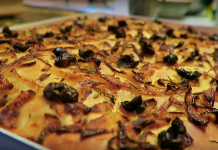 10Take a food tour at the St. Lawrence Market. 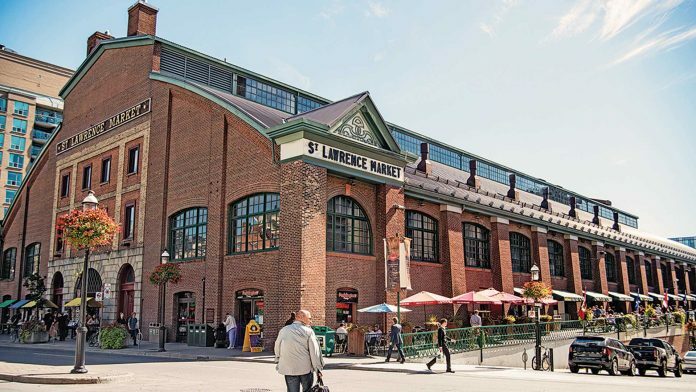 The largest indoor market and an icon of the city, St. Lawrence Market was recently recognized as the No.1 food market in the world by National Geographic. Visit in the Old Town on a Saturday to see the Farmer’s Market. 11Visit the Yonge & Dundas Square. Compared with the Times Square in New York and Picadilly Circus in London, Yonge & Dundas is filled with large billboard screens. 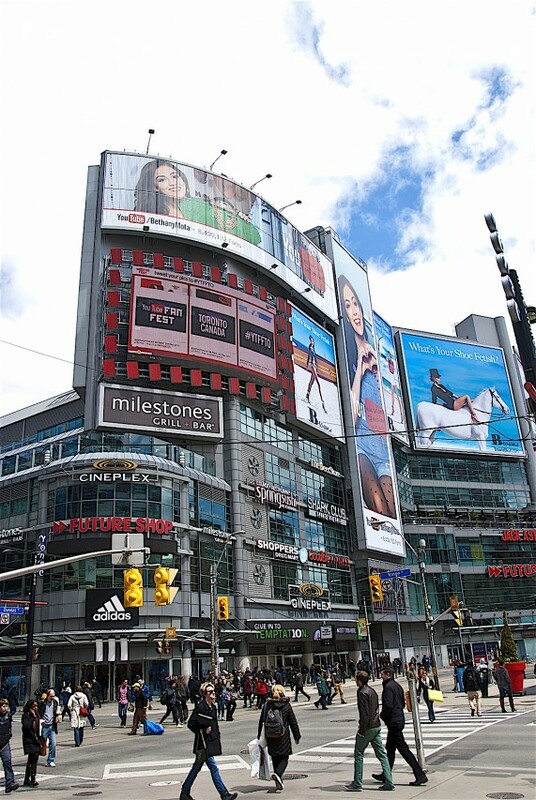 Very close to the Eaton Center and the PATH, Yonge & Dundas is a center for shopping, entertainment and public events. 30km (19mi) long PATH is the world’s largest underground shopping complex in the world. With more than 50 buildings and office towers connected, it is home to approximately 1200 shops and services. 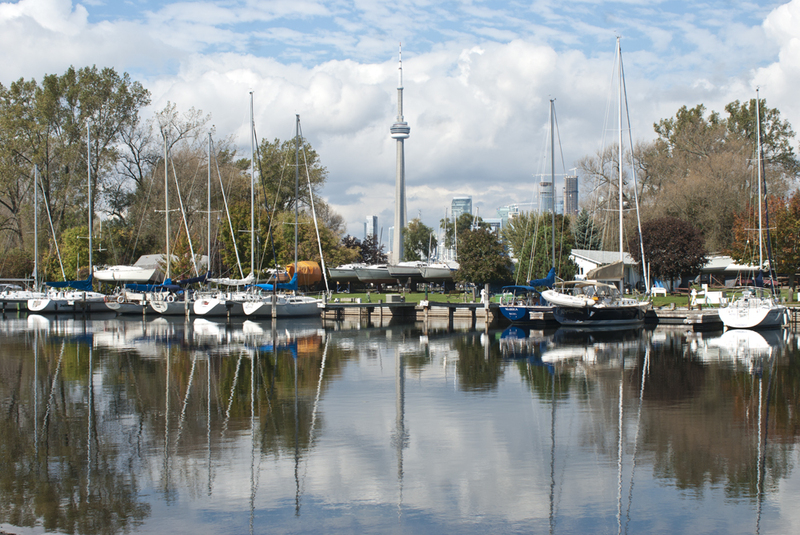 13Spend a day at the Toronto Island. A hidden paradise in Lake Ontario, only 7 minutes from the city. A small island with beaches, amusement parks, picnic areas, bicycle tracks and more. Easily accessible with a ferry from Toronto Harbour. 110km (72miles) away from Toronto, the Niagara Falls are both the international border between the US and Canada. They have the highest flow rate of any waterfall in the world. 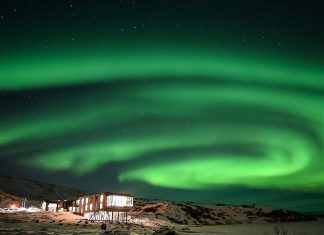 You can get there by car, bus or train from Toronto. 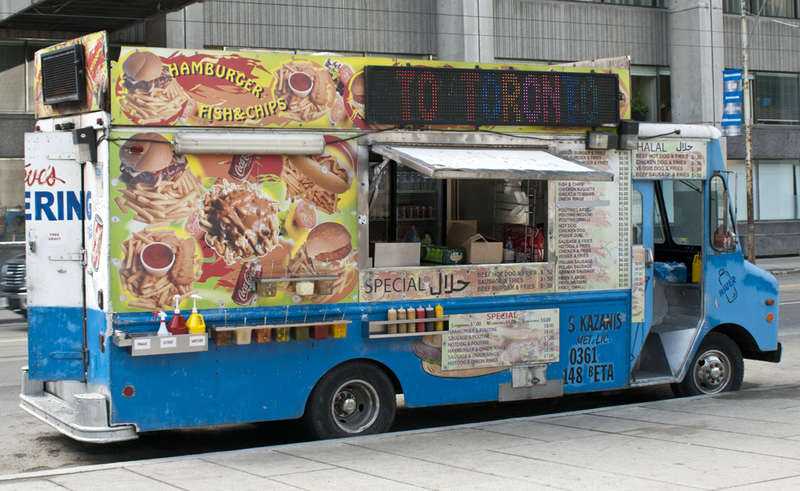 Hot dog vendors are literally on every corner in Toronto. 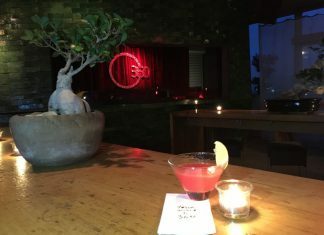 Don’t leave town without trying one!